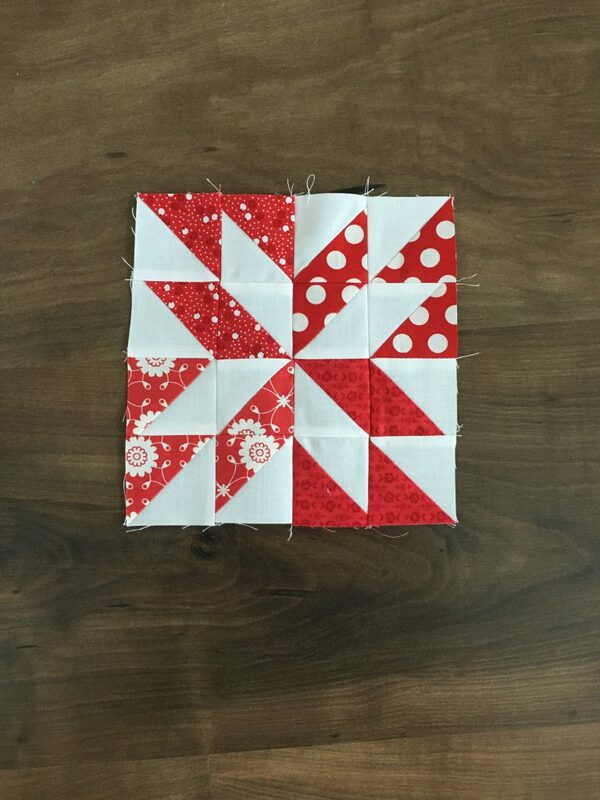 This Hunter’s Star block was one that was requested awhile ago for a Filler Block and I am so pleased with how this one turned out. 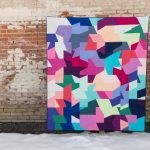 This block looks best when you use bold prints, or something with a lot of contrast from your background. I chose red prints for this reason. 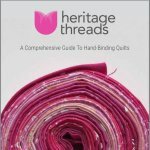 Here’s what you need to create your own for your sampler quilt. 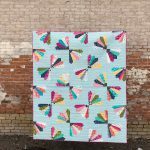 Use all 8 prints and all 8 background squares to create (16) 2″x 2″ half square triangles (HSTs). 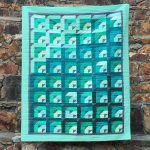 This is easiest if you draw a line down the center of each background square, then sew a line 1/4″ away on both sides of the center line. 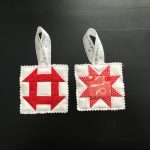 Cut these apart and trim to 2″x 2″ square. 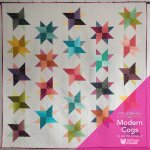 Lay out your HSTs to make sure they are oriented correctly, sew into rows, then assemble into your block. Enjoy!